Wild Red's, the finest restaurant in Portland Oregon. 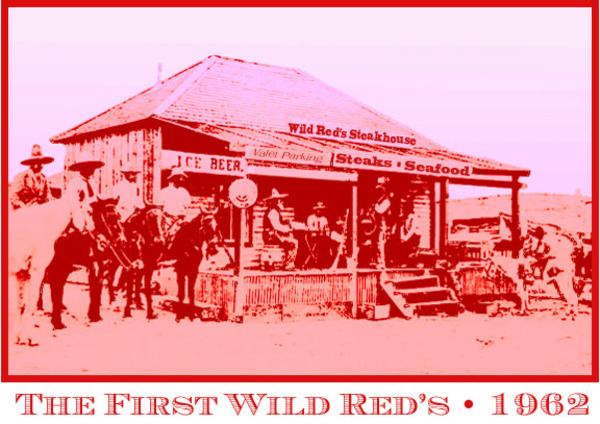 Wild Red's has been serving up great food since 1962. The steaks are huge, the baked potatoes look like asteroids, the desserts should be called mountains, and Red's staff are the friendliest people on the planet. Wild Red's is located in the heart of downtown Portland, Oregon. It's easy to find, just off of Highway 5 (check out our map page for directions). Reseller is the Authorized Food Service Distributor and Website Producer for Wild Red's Steakhouse. Copyright 2010 Wild Red's Steakhouse. Powered by DinerMagic.